Some members of my extended ancestral family became big-shots in the complex Irish American politics of NYC. Many didn’t. 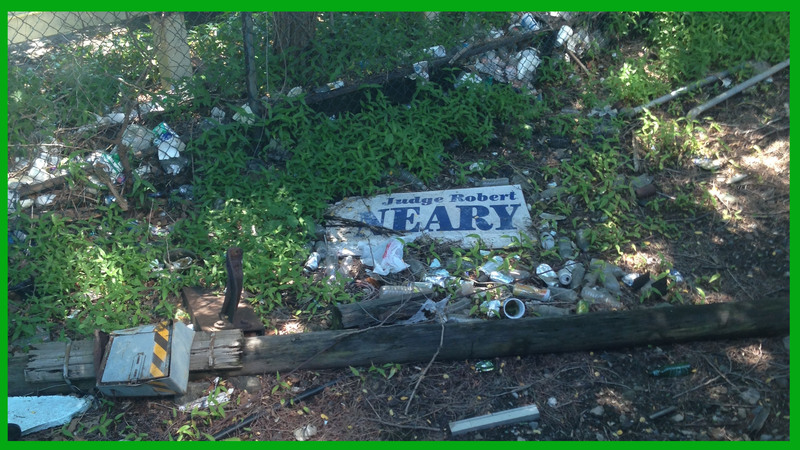 I don’t think that Judge Robert Neary is one of my direct ancestral clan, but to throw out the Westchester Judge’s election rally paraphernalia on to the Bronx rail-side dumping ground is a bit much. Maybe he deserved it; who knows?